It’s been almost an entire year since I photographed these cuties. I was so lucky to have been able to photograph them for the newborn and first birthdays. 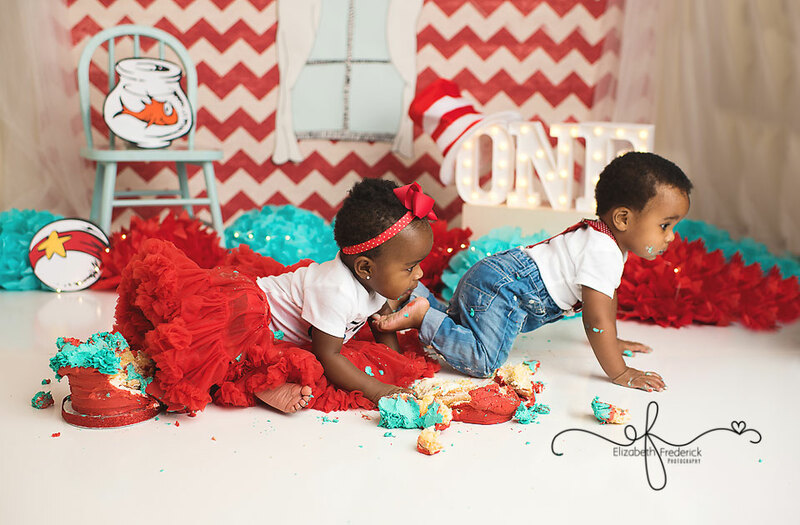 What a more special way to celebrate their first birthday than with a smash cake session? Mom selected a Dr Suess Thing 1 and Thing 2 theme for their birthday. I loved creating this one of a kind set for them! Check out all the fun we had at their session.